Running through the old town, Main Street offers numerous shopping, dining, and clubbing opportunities. Dating back to the 14th century, the street is lined with historic buildings and churches exhibiting a specific blend of Moorish, Portuguese, Genoese, Spanish, and British Regency architectural styles. 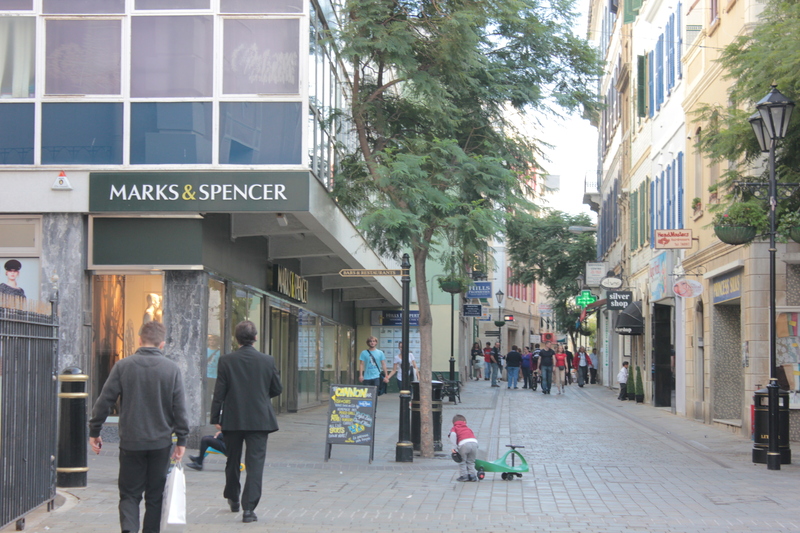 The street branches out in several places, leading to smaller shopping lanes and byways. Don't miss the section that belonged to the Irish in the 19th century, when Gibraltar was divided into different quarters. The square at the northern end of the street--once the stage for public executions--today hosts bars, restaurants, and nightclubs. Put Main Street on your schedule, and learn what else deserves a visit by using our Gibraltar route builder website . It is worth to visit to buy souvenirs-not such a comprehensive, diverse and high quality as in England itself, but still better than in Spain. Here is a good yet and marks and Spencer. And, life hack: free parking is near Morrison supermarket have-but keep in mind that it is limited to three hours and this keeps specchelovek that shoots rooms parked. Every day, we help thousands of travelers plan great vacations. Here are some tips on how to use your Listing Page to attract more travelers to your business - Main Street. Promote your permanent link - https://www.inspirock.com/gibraltar/main-street-a540899021 - on your website, your blog, and social media. When a traveler builds a plan from this page, the itinerary automatically includes Main Street. This is a great way for travelers looking for a great vacation in your city or country to also experience Main Street. Promoting your link also lets your audience know that you are featured on a rapidly growing travel site. In addition, the more this page is used, the more we will promote Main Street to other Inspirock users. For best results, use the customized Trip Planning Widget for Main Street on your website. It has all the advantages mentioned above, plus users to your site can conveniently access it directly on your site. Visitors to your site will appreciate you offering them help with planning their vacation. Setting this up takes just a few minutes - Click here for instructions.